Looking for a luxury lodge holiday in Norfolk? Try Thorpe Lodges in Thetford Forest - lodges with a private outdoor hot tub! 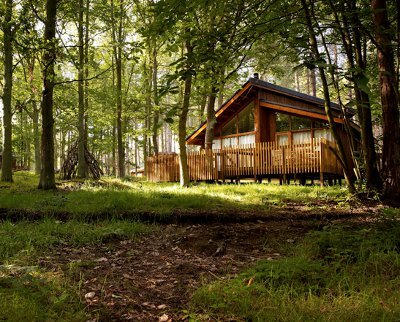 For a lodge holiday in Norfolk, it is well worth looking at "Thorpe Lodges" in Thetford Forest. These luxury holiday lodges are brand new for 2014, and are set in deepest Norfolk. There a re a range of lodges, with nearly all of them having a private outdoor hot tub! The lodges at Thorpe Lodges range in size, and sleep from 2 people, right up to 10 people. Whether you're after a romantic holiday with plenty of peace & quiet; or a short break with the family - Thorpe Lodges will have that lodge to suit your needs. Nearly all the lodges at For a lodge holiday in Norfolk, it is well worth looking at "Thorpe Lodges" in Thetford Forest. These luxury holiday lodges are brand new for 2014, and are set in deepest Norfolk. There are a range of lodges, with nearly all of them having a private outdoor hot tub! Nearly all the lodges at Thorpe Lodges have a private hot tub - which makes for a very special way of enjoying your time away. The only lodges which don't have the hot tub are the "Copper Beech Lodges", so, if you're set on a hot tub, make sure you book yourself a "Silver Birch" or "Golden Oak" lodge. The "Golden Oak Hideaway" is the lodge to choose for a romantic break. Sleeping 2 people in a double bedroom, with an en suite which features a sunken bath big enough for 2 people - and views out across the forest. At the other end of the size scale is the "Golden Oak Treehouse", which sleeps 10 people. The main lodge sleeps 6 people in 1 double bedroom and 2 twin bedrooms - while a bridge takes you to the treehouse, where you'll find another 2 bedrooms; the treehouse makes an ideal place for the children to getaway to. Both these lodges also have a wood burning stove for those getaways in the colder months of the year. You can hire a mountain bike, and discover the forest tracks; or book yourself on a ranger led exploration of the forest. There is a children's play area; and a slightly more relaxing coffee lounge and shop. Thorpe Lodges is set on the Norfolk/Suffolk border, so should you decide to head away from your lodge for the day, you can visit the fine city of Norwich, Diss or Bury st Edmunds. BeWILDerwood is about an hours' drive from Thorpe Lodges - but well worth the effort if you've got children. We have taken our children to BeWILDerwood a couple of times, and they've loved it. Or for something a little more genteel, Sandringham is also about an hours' drive from Thorpe Lodges. Holidays and short breaks start on a Friday and Monday at Thorpe Lodges. The holiday lodges listed below have all been lodge of the month. A fantastic choice of holiday lodges and log cabins positioned in either a loch side setting, or forest setting - whichever takes your fancy. Strathyre Cabins in Callander, Scotland offer a particularly special lodge break. Oh, and most of the lodges have an outdoor hot tub too. These lodges are well worth a look. Should Thorpe Lodges not be to your liking, but you fancy staying in the area around Norfolk, you might well be interested in the lodges below. All these lodges are within a few miles of Thorpe Lodges.